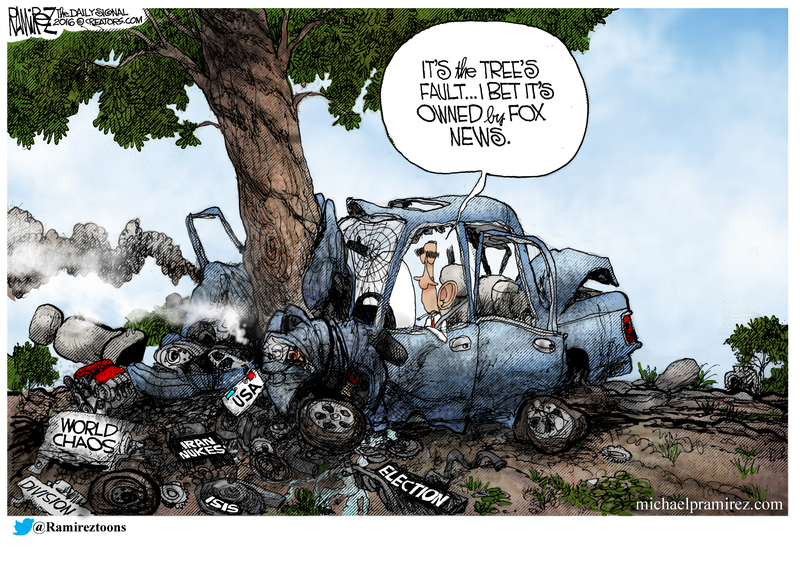 As he undertook his project of “fundamental transformation,” President Obama took office in 2009 with the side project of beating down FOX News. FOX News disrupted the coordination that the Obama administration otherwise had going with the mainstream media. Comrade Anita herself explained in 2013 that undertaking the project made for “a simple decision, given the fact that Fox News had really been the not-so-loyal opposition since the President had taken office.” That was the spirit. What bars and restaurants? What big chunks of the country? Send me in the right direction. Speaking of fake news…where are the “fact-checkers” when you need them? They have been part of Obama’s Gleichschaltung from day one. In the clip below FNC’s Neal Cavuto responds to Obama’s complaint.